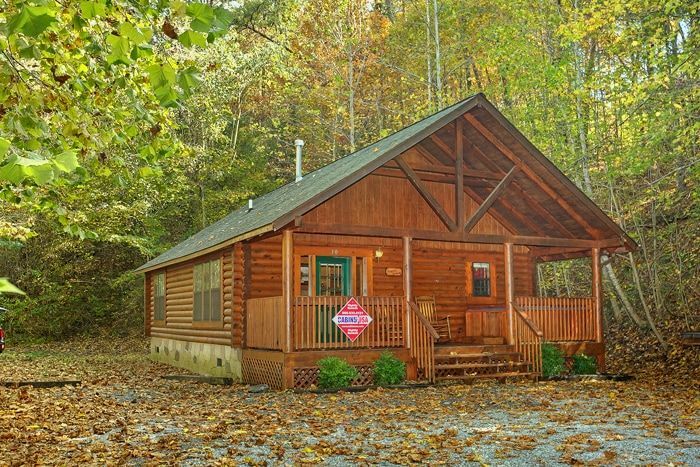 Great Smoky Mountains cabins in Tennessee give the perfect escape for couples seeking a romantic retreat in a mountain setting. 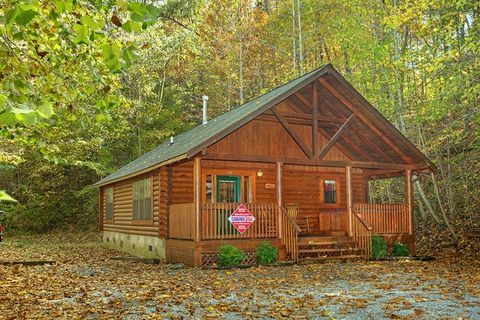 "A Peaceful Getaway," a choice private honeymoon cabin rental from Cabins USA Gatlinburg, is the cabin for you and that special someone for a weekend tucked away in nature's tranquility. 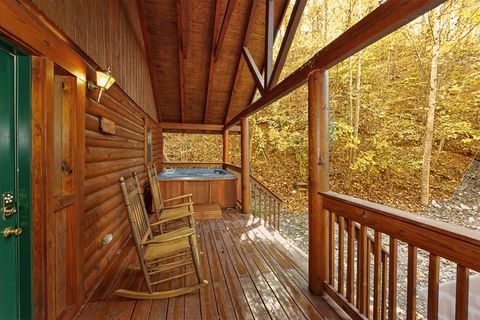 This private honeymoon cabin rental rests in a private, wooded Smoky Mountains setting where couples can enjoy the peacefulness of the mountains. 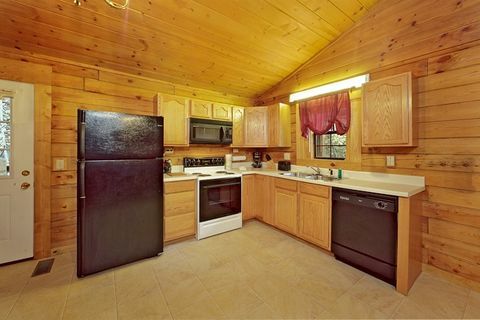 "A Peaceful Getaway" provides guests with a cozy 1-bedroom cabin that sleeps 4. 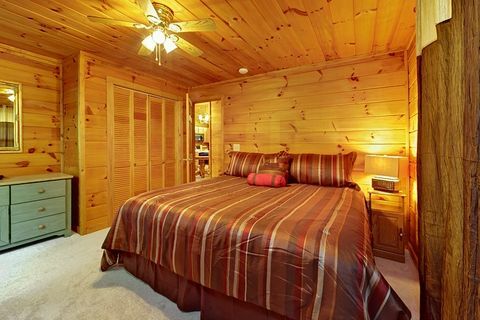 The bedroom's expansive king-sized bed gives guests plenty of room to relax. 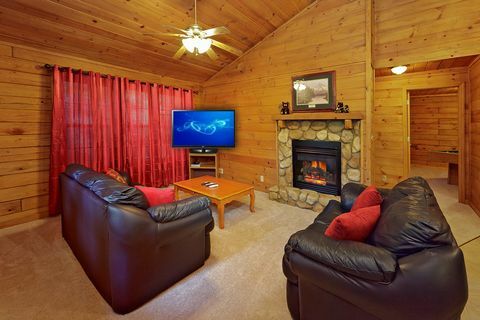 Curl up in on the living room's sleeper sofa and enjoy the warmth of a fire during winter's coolest months. 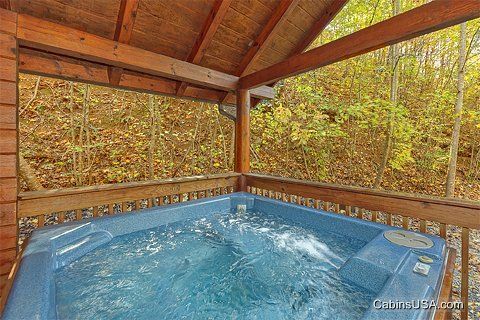 Listen to the serene sounds of nature while relaxing in the warm waters of your cabin's hot tub. 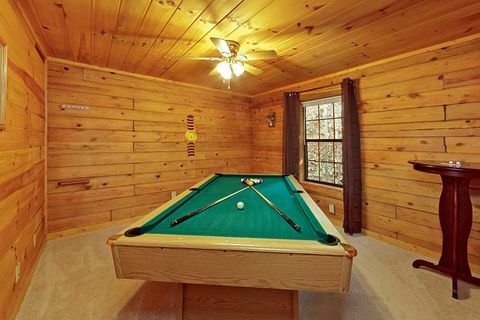 This private honeymoon cabin rental also comes with free WiFi access, a pool table, a fully equipped kitchen, an outdoor grill, and washer-dryer. 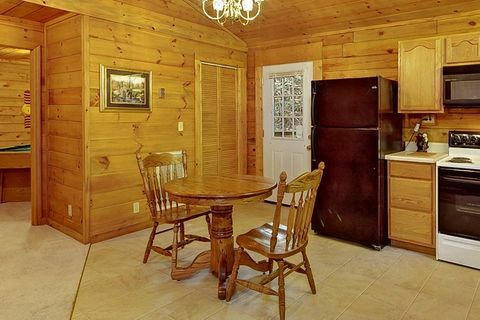 If you are in need of additional Smoky Mountains cabins, "A Smoky Hideaway," "A Romantic Retreat," and "A Mountain Escape" rest within walking distance of your cabin rental, providing an ideal grouping of cabins for family reunions or church retreats. 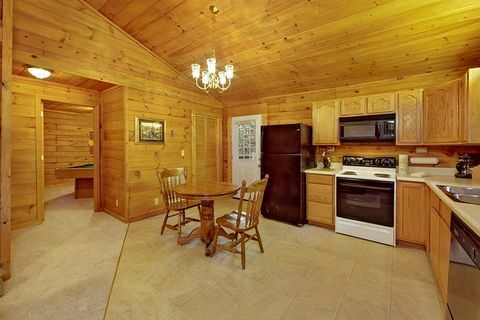 If you are looking for a private honeymoon cabin rental, "A Peaceful Getaway" is the cabin for you! 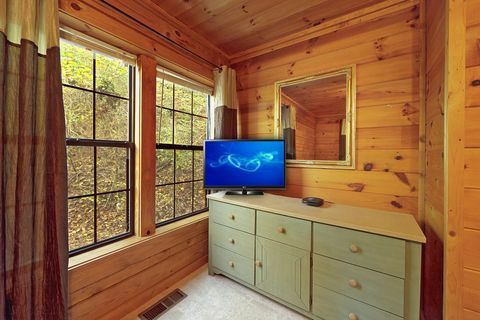 Book one of many Great Smoky Mountains cabins in Tennessee online with Cabins USA Gatlinburg and get immediate SAVINGS!